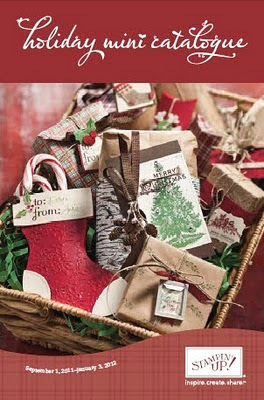 I'm popping in to remind you that there are only a few days left to order from the 2011 Holiday Mini Catalogue before it's put aside for good. Now, if you are thinking that there were only seasonal items in it, you'd be very wrong! Sure, who wants to think about fall or Halloween right now -- I get that. BUT! What about checking out the new Simply Scored tool, so wickedly easy to use. How about the Stampin' Card Keeper? You can use this handy box to organize all of your standard-sized cards by month, theme, or holiday. Personalize box by covering with your favorite Designer Series Paper and embellishments. Valentine's is coming too...so how about the beautiful You Are Loved set, available in both clear or wood mounts, as WELL as French or Spanish versions. 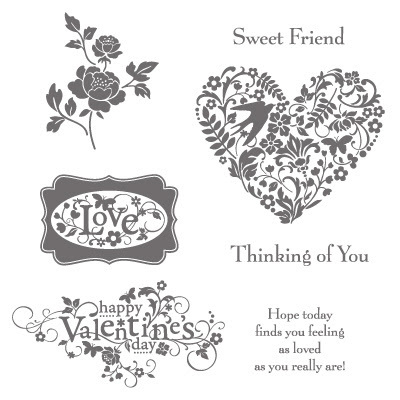 I also found the cutest new Digital Download available called Sweetest Ever Valentine's Designer Template, just released a few days ago. It was designed specifically for you to create gift treats, such as for Lollipop, mini chocolates, Cello bag toppers, Candybar wrappers annd additional labels and tags to add to any treat. and these were just the tip of what was available there for you to find and get! If I were you, I'd rush to the Online Store and scoop up those deals while you can....Stampin' Up! has announced the blitz ends January 5, 2012 and everything is only available while supplies last.